Get orchid spotting this weekend! Mike Waller is one of five new trainees working at the Natural History Museum’s Angela Marmont Centre for UK Biodiversity. 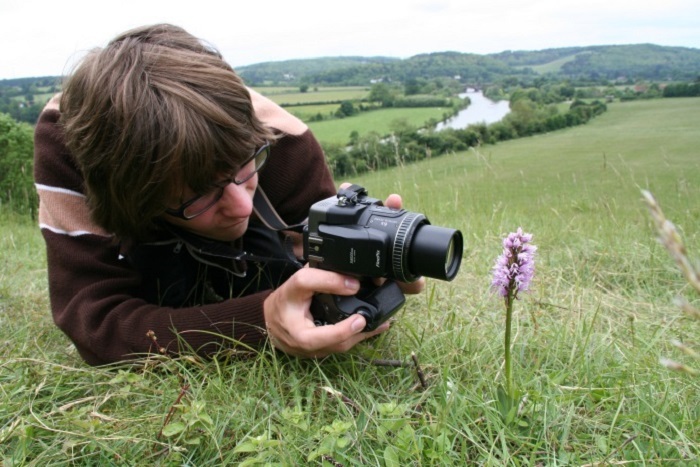 As part of the Heritage Lottery Fund’s Skills for the Future programme, Mike is working alongside the Orchid Observers team to build his experience in developing and delivering citizen science projects. His passion lies in botany and ornithology with a particular specialism in European orchids, so this is a match made in heaven! Read more about Mike on the Museum’s news blog. 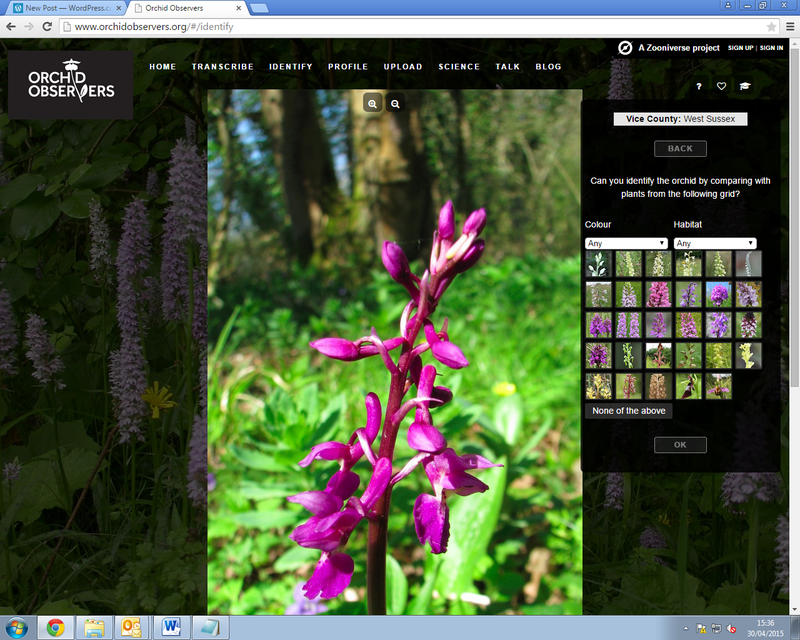 A new and exciting citizen science project began last week – Orchid Observers. This research project, in partnership with Oxford University’s Zooniverse platform, aims to examine the flowering times of British orchids in relation to climate change. In order to achieve this, we are inviting the amateur naturalist and professional botanical community, alongside nature loving citizens from across the country, to help us collect and sort orchid data. We want you to go out in the field and photograph any of 29 selected UK orchid species (the ID guide tells you which we’re studying) and upload your images on the Orchid Observers website. Flowering times from each of your records will then be collated and compared with the extensive Museum herbarium collection, and data from the Botanical Society of Britain and Ireland (BSBI), totaling a 180 year time series of orchid records. 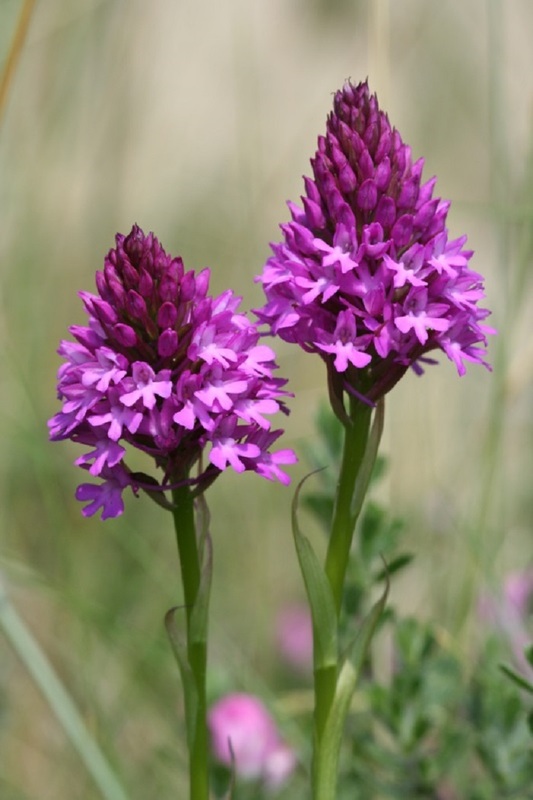 The Pyramidal orchid (Anacamptis pyramidalis) adds a splash of colour to the alkaline grasslands of high summer. Keep an eye out for it in June and July. The primary aim is to further our understanding of the impacts of climate change on the UK’s flora using orchids as a model group. The extensive dataset that you will be contributing to will tell us how different species of orchids are responding to changes in temperature and rainfall across the UK. Field work: We are asking observers, like you, to record orchids by simply photographing the flower spike and uploading the image to this website, with a location and a date. An instruction sheet explains how to take the best photos for this research project, and to aid you with identifying the orchids, we have painstakingly produced a beautiful ID guide complete with images, descriptions and distribution maps. Online work: We have over 10,000 herbarium orchid specimens (pressed plants) collected from around the UK stretching back nearly two centuries. In order to calculate any change in flowering times, we need you to help us sort through images of our herbarium sheets and copy across key handwritten or typewritten information such as species, location and flowering stage into text boxes. This makes the data searchable and easy to use for a wide variety of research purposes. If you would like to get involved with the project either online, or in the field, then simply visit the homepage and follow the links to Transcribe, Identify or Upload photos. The orchid season runs from April until the end of September so the first species are starting to flower right now – time to get your camera out! We’ve already had around 70 photographs submitted in just the first few days!